Good news to Mac system users! The latest page turning book software has been released recently. All of the new programs are containing the same or more features as Windows version. For Mac user, they can now apply Page Turning Maker products to design their own dazzling page turning book. 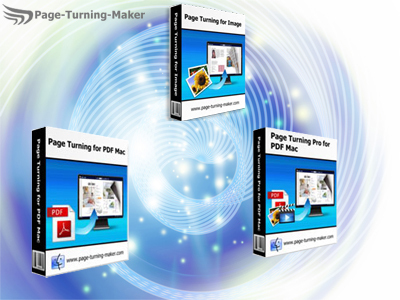 Now let's go ahead to learn more about Page Turning Maker software for Mac and free download and install the latest version to have fun from designing page turning book.